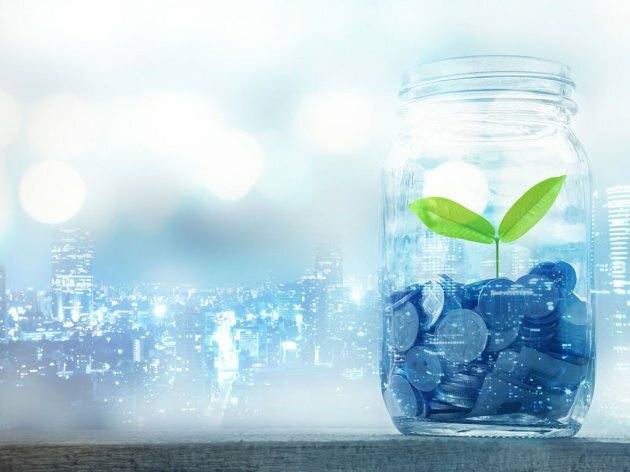 By the end of March, the Belgrade Stock Exchange will offer a crowdfunding platform in the Serbian market, a unique kind of market for financing startups and micro, small and medium enterprises in cooperation with one of the leading platforms of that kind in the world. The director of the Belgrade Stock Exchange, Sinisa Krneta, told Beta that they thereby aimed to provide funds for further growth and development to young innovative companies and beginners. – By the end of March, the Belgrade Stock Exchange should become the official partner for the market of Serbia of one of the global leaders in providing crowdfunding services, which connects companies-beginners in business, that is, those in the early stages of development, with investors looking to put their money in new ideas – said Krneta, who didn’t want to disclose the name of the foreign partner in adherence to the stipulations of the contract. As he explained, the Belgrade Stock Exchange will be “an information provider and a catalyst enabling startups, micro, small and medium enterprises, to which conventional access to finance is not available, to get to the necessary funds”. He reminded that, at the moment, the biggest part of the financial market in Serbia belonged to banks, which, due to strict regulations both in the country and in the world, are unable to support the financing needs of startups and small businesses. – The Belgrade Stock Exchange intends to bridge that gap. Innovative companies will be able to apply for investors’ funds through the platform, under certain conditions, and, depending on investors’ assessment, gather the needed capital – said the director of the Belgrade Stock Exchange. He pointed out that the new platform would provide a new channel for investments to enter the country. – We want to contribute to an important mission for our society that entails startups staying in the country and being able to gather the capital crucial to growth and development relatively simply and inexpensively, without having to move to more developed countries – Krneta said and added that this would also help young people register their intellectual property over products and services in Serbia, and not elsewhere. He also reminded that most good ideas fall through due to a lack of adequate models of financing the early stages of development. He cites the statistics showing that only one of ten startups remains in business. – The advantage of the model that the Belgrade Stock Exchange is bringing to Serbia compared to hundreds of similar platforms in the world is that investors will receive a proportional share of the ownership in such companies, instead of rewards and other collaterals – Krneta said. Business ideas from all fields will be available at the platform, and investors from Serbia and abroad will be invited to invest in them. In the world, this kind of group financing has been present for a long time. It is estimated that there are currently over a thousand and a half crowdfunding platforms, the most famous of which are Kickstarter, Crowd Berlin, IndieGoGo, Kiva, Microventures. The crowdfunding market has become one of the quickest growing markets in the world, and the World Bank assessed in 2015 that, by 2020, it would have a turnover of close to USD 100 billion. Another example showing the necessity of this kind of financing is the market of Croatia, where, as Krneta said, over a year ago a crowdfunding platform was launched which enabled the development of innovative companies from the IT sector to food and drink production. Recently, the Zagreb-based brewery Medvedgrad, after a quarter of a century of operations, decided to collect the money for the expansion of its production at the crowdfunding platform of the Zagreb Stock Exchange, managing to gather over a million euros from 292 investors in 26 countries in a dozen days. Let us remind that the crowdfunding web platform for group financing called Investing in Idea was launched in Belgrade on September 19, 2017. Read more about the potentials of crowdfunding in Serbia in eKapija’s article.